The Penske team was in trouble. Firstly, its PC16 hadn't worked in the opening rounds of 1987, and now it faced the Indy 500, running year-old March 86Cs. Then, early in practice, Danny Ongais, scheduled for a third Penske entry, put himself into the wall and out of action for the rest of May. In typical Penske style, the Chevy-engined Marches were qualified comfortably by Rick Mears (third) and Danny Sullivan (16th). But who would take the third car? Step forward Al Unser Snr. He'd spent the previous season as Penske's part-timer, starting just five races, despite being the reigning CART champion. Now he was being offered an out-of-date car that had had to be dragged away from display duties in a hotel lobby; and he wouldn't even get a Chevy engine. Instead, he'd have an '86-spec Cosworth DFX. If his career had looked pretty much over, this looked the least obvious way of reviving it. Al plays down his disadvantage: "As soon as Penske called and said, 'I'd like you to drive for me in a 1986 March', I was happy. There were hardly any differences between the '86 and '87 Marches. 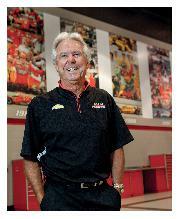 And whenever you race for Penske, you know the car he gives you is the very best he can offer." Having qualified 20th, it was nearly all over at the start, however: "Josele Garza spun in Turn One and almost put me in the wall. We actually touched. And I said to myself, 'Man, it's gonna be one of those days.' So I took it easy. Too easy. I let Mario Andretti lap me after about 20 laps. And that's when I got really pissed off and went after him. There's no way I could have beaten him that day. 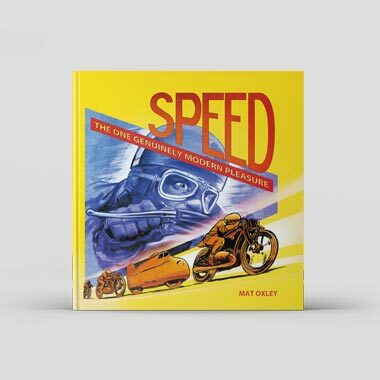 He had us covered — had the whole field covered — but he never lapped me the rest of the race." With just 20 laps to go, having led for 170, Andretti dropped out when his engine blew. "That left me and Roberto Guerrero going at it," remembers Al. "Roger had been on my radio since Mears had gone out, so I knew I was running good enough. Roger tells you who's around you, what you're doing, what others are doing — actually, he never shuts up. Anyway, it was very even between me and Guerrero: if I was ahead of him, I could stay ahead; if I was behind, I couldn't pass. Then Roger made a decision to make our final pitstop early to put pressure on Guerrero, and that's exactly how it worked. He messed up." 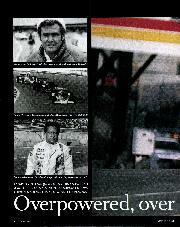 An overheating clutch and an overanxious driver made easy meat for veterans like Unser and Penske. At 47 years and 360 days, Al had become the oldest-ever winner of the world's most prestigious race. Not only that, he had equalled A J Foyt's record of four Indy 500 wins. This fitted perfectly, for Foyt had given Unser his first chance at the Brickyard. It was the year Jimmy Clark and Lotus did what everyone knew they would one day, the year in which Mario Andretti signalled his intent with a rookie performance to die for: 1965. Baby-faced Unser, however, found himself in a Sheraton Thompson-backed Lola, Foyt's back-up car should his Lotus let him down. Qualifying 32 out of 33, and finishing ninth, four laps behind Clark, didn't exactly make Al the toast of Indiana, or even of his home town of Albuquerque, New Mexico. But taking into account his equipment, he did the perfect job. In the amphitheatre that had claimed the lives of his uncle Joseph in 1929, and his brother Jerry in '59, Al had kept it off the wall. He remembers a feeling of awe. "Sure, I got goose bumps on the grid," he nods thoughtfully. "It was a feeling of success just to be there already. First, you have to get the opportunity to go; then you have to pass the rookie test; then you have to qualify. Each is a very big stepping stone. There are many drivers who never got the chance to go, many who never pass the rookie test, many who never qualify. You might think you have the ability, but you don't really know until you've done it. But once I had made it to the race that first year, then I wanted to finish it, which I was able to do. Then I wanted to finish the race well up. Then, of course, you always want to win it. And by then you've got that sensation of, 'Gee, I've really done something.' To compete against your idols and then finally beat them is a sensation that is unbelievable." It is poignant and apt that one who treats the Indy 500 with such reverence should go on to become one of the event's true legends. First, however, he had to swallow the fact that nowhere is the 'winning is everything' adage more true than Indy. 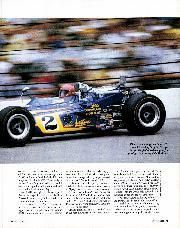 "In '67, I finished second in Al Retzloff's car, behind Foyt. Yet the next day someone asked me where I had finished. I was amazed! That taught me there's only one place — and that's number one." And that's precisely where Al's brother Bobby found himself; having won the 1968 Indy 500 on his way to the USAC crown. Five years Al's senior, Bobby had the gift of the gab to match his raw talent, and his wildness captured the bigger headlines. Eventually, however, quiet Al would out-stat big brother in all Indy departments bar pole positions. 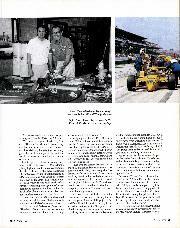 Retzloff quit the ChampCar scene in 1968, so Al, together with George Bignotti — one of US motorsport's greatest crew chiefs — joined forces with Pamelli Jones and Vel Miletich who bought out Retzloffs assets. It proved a productive relationship. By '70, the car had been reworked by ace aerodynamicist Joe Fukashima and was now called a Colt. Sponsorship from Topper Toys, who were attempting to steal a marketing march on Mattel's Hot Wheels series, rendered the Colt-Ford the 'Johnny Lightning Special'. No-one else was in the running that year at Indy, and Unser led 190 of the 200 laps. "You never know you will win Indy," he says. "There isn't a driver who can ever say that. But even before practice started we knew that, if we did everything right, we had a very good chance of running up at the front. But we did not know we could lead the amount of laps we did." In retrospect, it is less astonishing. Indy turned out to be the second of 10 wins for the Johnny Lightning car that season. Al captured the title with one of the more dominant ChampCar seasons. Like Mark Donohue in a Porsche 917/30, or Niki Lauda in a Ferrari 312T, man and machine had formed a perfect circle which no-one could break. At last Al was receiving proper recognition; if he was destined to remain in Bobby's shadow for much of his ChampCar career, he at least was now much more than 'the other Unser'. This was ensured in 1971, when he scored his back-to-back Indy win (the last time this was done until Helio Castroneves this year). "McLaren should've beaten us," says Unser. "They had a 10-times better car, because their interpretation of the rules produced a huge rear wing and lots of downforce." Qualifying revealed all: Peter Revson's works McLaren took pole at 178.69mph, Donohue's Penske-run machine was second; Unser lined up fifth, unable to break the 175 barrier. On race day, Donohue pulled away from everyone until quarter-distance, when his transmission failed. And that should have left Revson with an easy win. Instead, he didn't even lead a lap. "We led over half the race that year," Unser chuckles. "Revson and the McLaren team just didn't know what they were doing. They lost that race on sheer inexperience. It was a more satisfying win than the year before, because in '70 we knew we could do it, which created pressure, but a different sort. In '71, we knew we'd have to work incredibly hard and make everything count for us. That was a hard, hard day with the right result." Hard, hard days with little to show for them were the norm for Al at Indy for the next few years. "Maurice Phillippe joined Vel and Pamelli, and that's when the nightmare started, when that 'creation' happened. That dihedral wing car [two 45deg wings mounted halfway between the rear axle and cockpit] wouldn't work. I finished second in 1972, but if it had been the car it should have been, I might have given Donohue a decent run. There was Joe Leonard, Mario and myself working for Parnelli, so it was being called 'The Super Team' and so on. 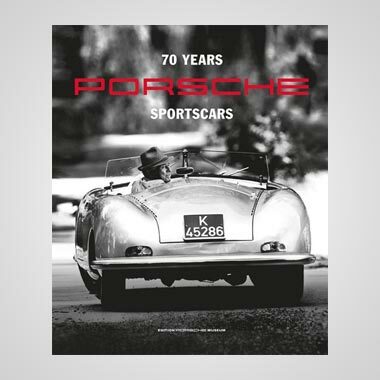 Well let me tell you, there was nothing super about it"
For 1974 and '75, the team used Eagles, but that had its drawbacks, too: "Dan Gurney and my brother Bobby made sure that they didn't sell the exact perfect product to the competition, especially the sort of competition that we were. So it took us a while to figure that out." Between 1972 and '76, Al Unser led just 35 of Indy's 1200 laps. Even so, his decision to leave Parnelli's at the end of '77 seemed odd. Phillippe had been replaced by John Barnard and the VPJ was coming good with a win at Ontario. Unser explains: "Vel and Pamelli started doing things I didn't like, so I quit. Pamelli and I are still good friends, and he was a great car owner, but at the time, I was tired of it. I had to move." If it seemed a curious decision at the time, it seemed the height of wisdom the following May. Now at Jim Hall's Chaparral team, Al was at his finest at Indy, despite a slight pitlane error when he bent a front wing against a tyre on his final stop: "Actually, I didn't know I'd hit it till later; it didn't affect the handling at all! Sometimes, when it's your day, it's your day. Earlier in the race, I don't know whether I gained the speed or my rivals lost it, but all those cars just backed up to me." It was the first of three superspeedway wins for Unser that year, giving him the Triple Crown of 500-milers: Indy, Michigan and Pocono. Elsewhere, however, the car was very disappointing. The new Chaparral 2K seemed set to change that in 1979, and Unser caned everyone at Indy until an oil leak caused the transmission to seize. Throughout the year there were signs of huge potential, but it wasn't until the season finale at Phoenix that the 2K got its first victory. And once again, Unser departed, leaving his hard work to benefit others. 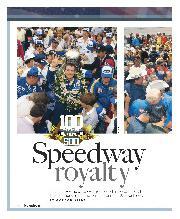 In 1980, his replacement, Johnny Rutherford, won Indy and the CART title. Al, meanwhile, endured the first of three fruitless years with the new Longhorn team, helping its owner, Texan oilman Bobby Hillin, chase his brave dream of ChampCar success. Once this project folded at the end of '82, Unser departed for Penske. 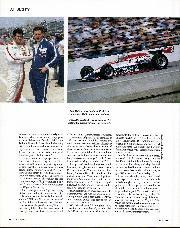 "We started off good," is Al's dismissal of 1983, the season in which his wisdom and consistency gave Penske its fourth ChampCar title in five years. He describes '84 as "one of the worst years of my career. Every time I got in the car, it broke. I don't know whether it was Penske's decision, or a sponsor who told him, 'You gotta make changes', but that's how I came to be driving the third car in '85." Except that's not how things transpired. Instead of being back-up man to successful Penske incumbent Mears and the new boy, Danny Sullivan, Unser became front-line material once more. Mears' terrible leg injuries incurred at Sanair meant he would have to forego road courses in '85. Whatever Roger's plans had been, therefore, he now needed Unser just as much as vice versa. 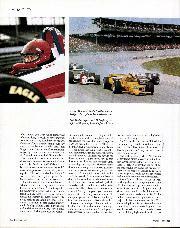 Sullivan stole Unser's thunder at Indy with a dramatic win, and was the better qualifier throughout the year. But in the races, Al was consistent and quick — and pipped his son Al Jnr to the CART title. With Mears back to full strength in '86, Al thereafter concentrated mainly on Indy. After his 1987 victory there, he put a Penske on the front row for the next two years, coaxed a Lola-Buick to finish third in '92, and even led in 1993. He now headed the table for most laps led at Indy (644), and lay second only to Foyt in the number of 500s led (11). 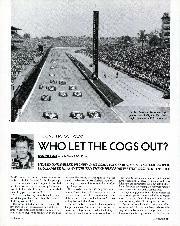 And there was the matter of four wins, a record shared with Foyt and Mears. 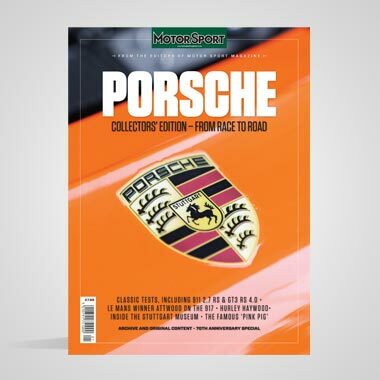 But the decision to retire, when it came, was swift: "I had been practising a Lola for the 500 in '94, but I found myself standing on the pitwall watching my kid qualify and suddenly realised I was too interested in how he was doing. People who lack the ability to give 100 per cent don't win. So I quit." It was a low-key departure, as we should have expected. Commercial demands multiplied during his career, yet he never courted publicity: "Different people act according to their different personalities, and mine wasn't to go and sell myself. Mine was to perform." And never better than at Indy. Each of his wins there mean different things. 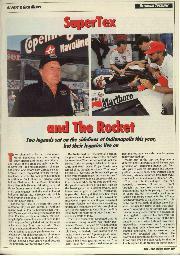 Of course, any Indy win is special, but May 24, 1987, when the most modest, unassuming guy in the place got the big Hollywood ending, was a Brickyard classic. 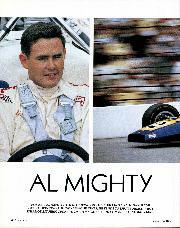 In more ways than one, it was Al Unser's ultimate victory. Who let the Cogs out?